This week’s post comes from our Los Angeles General Manager, Matt Worley. Matt is a long time Zogger and knows the ins and outs of what it really means to be a player, referee and General Manager. Today he shares how he began his ZogSports journey. It started with a simple craigslist post: Looking for sports teams to play with. That’s it! No name. No hard push. It was just a simple offer of an opportunity. In 2004, I joined my first season of ZogSports in New York City playing softball and football. Softball was like putting on a familiar glove—I can play the game anytime, anywhere. I loved it, I knew it well and it loved me back. Football, however, was something I only played in the pick-up games of my youth. So as an adult, playing football was strange. Yet, despite my reticence, I dove in and had a blast. 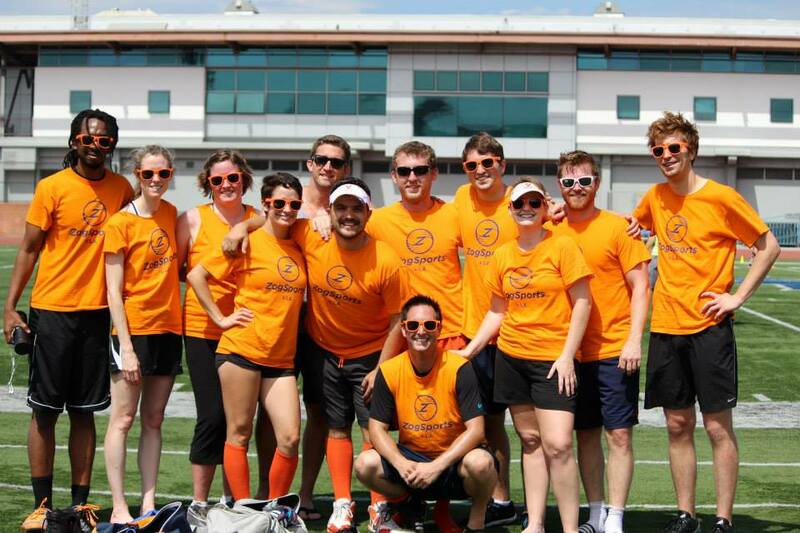 I loved the co-ed teams, liked the rules and appreciated the way Zog refs felt less like authority figures and more like friends on the field. It all fit together so well. The happy hour bars were like oases for my young twenty something self who had just moved to New York and was looking to get out and meet new people. It was great and I wanted more. Being young and on a lower rung of the economic ladder in a big city made me hungry for ways to make extra money while still having fun. As luck would have it, I applied and received a job refereeing football and basketball for ZogSports! I was able to continue playing while also helping and assisting others with having fun and being social on the field and court. I was meeting and hanging out with so many Zoggers every week that I almost forgot about my other jobs. 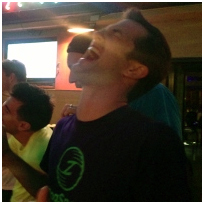 While I eventually learned to balance my life, the pull towards ZogSports was addictive… and I wanted more. Then, as is the case with life, I was pulled in a different direction. I eventually stopped reffing and cut back to playing just softball. The winds of change eventually blew me to the west coast and when I arrived in Los Angeles I found the sports scene to be socially starved. I tried several “social” sports leagues, but I found them to be unorganized and poorly run compared to my experience with ZogSports in New York. People showed up to play the game and then went home. So, I started to create small changes, like getting my team to go out drinking with our competition after the game. While this served as a social band-aid, I was still unimpressed with the social sports scene in LA. I wanted more. My phone rang one afternoon and when I picked it up I heard, “WORLEY! How are you man?” It was Robert Herzog informing me of the plans to expand ZogSports to the Los Angeles area. He told me about the search for a General Manager and asked if I was interested in the position. Whoa baby… I thought long and hard about the opportunity, as it would mean heading in a new direction and leaving the acting career I had pursued for over 12 years. I was unsure, but strangely excited. So, I went through the eight week interview process and as things progressed, I realized that the job was perfect for me! I got more excited with each step and consequent presentation. I wanted the challenge of introducing LA to the organization that had shaped my life so positively in New York City. I met my closest friends through ZogSports and I knew that the Zog community, with its social aspects, organizational prowess and charitable focus, was something that Los Angeles needed badly. Finally, I was offered the job! Something that started with a simple Craigslist post eight years prior led to the single best job I have ever had. It’s amazing what God can create when you just ask and then follow the signs put before you. To this day no one knows who replied to my post all those years ago. If I had not trusted that message from my cyberspace angel, who knows where I would be today?